“My vocation is being a guide and mountaineering is my passion. I was raised in Northern Guatemala and wanted to be a rancher but money wasn’t enough; now I hike to the top of mountains, they are cathedrals for me”. He entered the world of mountaineering when he was 18 years old. 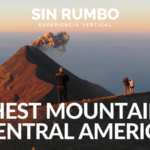 His first ascent was Agua Volcano, since then he has performed over 400 ascents all over Guatemala and many other ascents in other countries (Spain, Canada, Mexico, Perú). 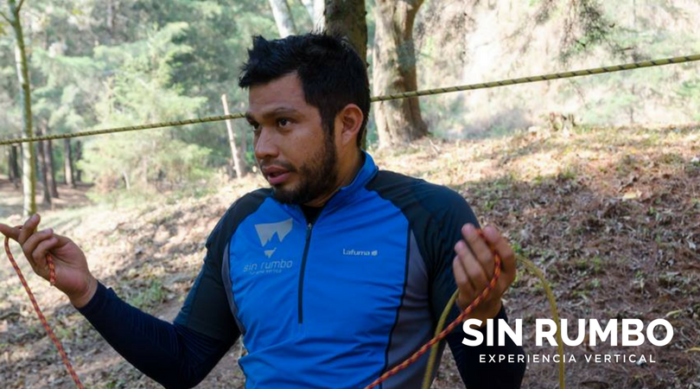 Edgar is dedicated to promote the natural richness in Guatemala through offering adventure trips all over the country to locals and visitors. His favorite activities are hiking, kayaking, rafting, caving and visiting archaeological sites. General administrator, logistics coordinator, instructor and mountain guide. 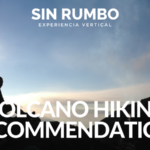 • Guided tours on 33 out of the 37 volcanoes of Guatemala. • Taken groups to explore these caves: Bombil Peck, Jul iq, Actun Kan, Caxlampon, Lanquin, Rey Marcos, Kan Ba, Chicoy, Candelaria. • Shown travelers Mountain Bike Trails around Atitlan Lake, Izabal Lake, the María Tecún route, at Los Cuchumatanes, from Todos Santos a Jacaltenango and the one that goes from Lanquin – Cahabon – Semuc Champey. • Carried out successfully rappelling tours in: La Rinconada and Los Amates Waterfalls, Caxlampon, El Boquerón, Bombil Peck, Jacarandas de Cayala, Finca Concepción, Edificios de Ingeniería USAC. • Guided kayak adventures in: Río Dulce, Bocas del Polochic, Atitlan Lake, Amatitlan Lake, Ayarza Lagoon, Calderas Lagoon, Sarstún River, Canal de Chiquimulilla. • Realizado Rafting en: Río Cahabon, Río Nahualate, Río Coyolate. 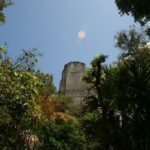 • Directed hikes along Mayan Archaeological Sites such as: Zaculeu, Iximche, Mixco Viejo, Quirigua, El Chal, Naj Tunich, Tikal, Uaxactun, Mirador, Tintal, La Florida, Yaxha, Nakum, Topoxte, El Naranjo, Takalik Abaj, Rio Blanco, El Sotz, Kaminal Juyu, Dos Pilas, Aguateca, Ceibal. – México(2004, 2013, 2014, 2016 y 2017) – Ajuzco (4,100 MSNM), Nevado de Toluca (4,800 MSNM), Malinche (4,600 MSNM), Iztaccihautl (5,300 MSNM), Pico de Orizaba (5,750 MSNM). – Ecuador (2006, 2012 y 2014) – Guagua Pichincha (4,800 MSNM), Rucu Pichincha (4,794 MSNM), Iliniza Norte (5,126 MSNM), Iliniza Sur (5,248 MSNM), Cayambe (5,800 MSNM), Cotopaxi (5,900 MSNM), y Chimborazo (6,310 MSNM). – Argentina (2008 y 2011) – Mount Aconcagua de 6,962 MSNM, without local guides or porters. – Perú (2013, 2016) – Trekking de Santa Cruz y Trekking a Laguna 69, Urus (5,495 MSNM), Ishinca (5,530 MSNM), Maparaju (5,326 MSNM), Vallunaraju (5,686 MSNM), y Huascarán Sur (6,768 MSNM).